It is a well-worn cliché that "a picture is worth a thousand words." Often, there is validity to such maxims, especially in documentary filmmaking. Finding the right still or seeking out the archival footage that can change a story or drive it forward is one of the holy grails of production. But just how do filmmakers produce compelling programs with old or grainy images? The different schools of thought are almost as numerous as all the images sources available today. "I look at footage as a main character," says Emmy and Peabody Award winner Stanley Nelson. For Nelson, the process of hunting down historical shots starts right at the beginning of pre-production. "I make a wish list on the first day," he says. "It can be totally pie-in-the-sky." There are plenty of images out there, but Nelson wants the footage that, "when used right, is beautiful. It allows viewers to fill in the stories for themselves." 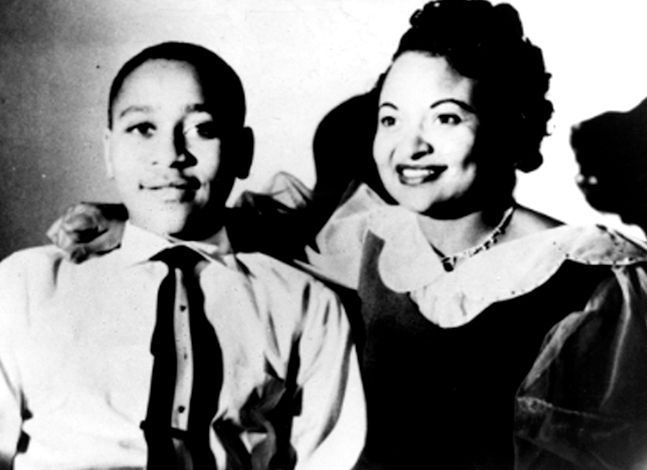 During production of his 2003 film The Murder of Emmett Till, Nelson found a newscast about the killing of the 14-year-old African-American boy in Mississippi in 1955. "It was not dramatic enough to use in the body of the story," he admits, so he ended up starting the film with it. "It is a Citizen Kane moment; it was great. It pushes the story forward." Cutting between the newscast and present-day interviews, the viewer is immediately transported to the time of the crime. Nelson's two upcoming projects—one about the drive to sign up African-American voters during the Freedom Summer of 1964, and the other about the Black Panther Party—might call for the use of some of the footage the filmmaker has used in the past. "But I try not to repeat myself," he maintains. "I have an aversion to using the same footage over and over again. My job is to find new and exciting footage, and then interpret it in a new way. There is still a lot of great footage out there." For fellow Emmy and Peabody Award winner David Grubin, it is the writing and story that drive his historical films, and the footage then drives the story in return. "I get a story I want to do, and then I look into the images—just a quick look," he says. "But the script is the road map. Without the script, I have no idea what to look for. I imagine that I can fill in the scripts with the footage." Searching for footage is an ongoing process. For his 1991 film about President Lyndon B. Johnson for PBS' American Experience series, Grubin scripted an opening featuring the 1965 Presidential inauguration activities. But he could find little footage. Finally, he and his staff located 12 seconds from the inaugural ball featuring President and Lady Bird Johnson. Grubin extended and repeated shots, added music and sound effects, and finally brought in narration from David McCullough. 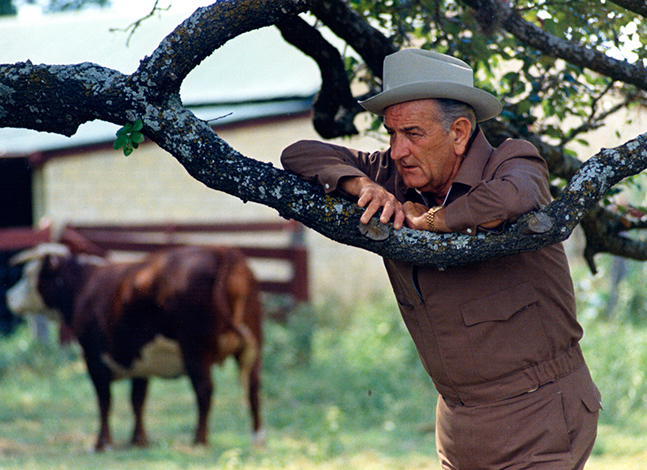 The result is a grand yet melancholy entrance into the world of LBJ. The balance of all those elements should be "seamless, and look easy," adds Grubin. The key, to Grubin, is "not to use archival footage as wallpaper. The danger is to put it up there and just talk." And while Grubin's new project about endangered languages has a smaller archival component, he looks forward to making more historical documentaries. "I still have certain stories I want to tell," he says. "Footage can be used a number of ways besides wallpaper," explains IDA Award winner Paul Stekler. "It can lead to a story, it can be used as metaphor or to illustrate—or even as representation of an actual time. It can inform and shape the story." For him, the Holy Grail is finding as many possible elements around a particular event in your script. The resulting sequence then ends up looking "as if you shot it. The more footage of an event, the better." Balance that footage with other elements like music and narration and, for Stekler, "It's no longer just archival; it's a moment. We are filmmakers and our job is to make people feel that moment." One of those moments for Stekler came during the making of his 2000 film George Wallace: Settin' the Woods on Fire. He combed through all the footage from Wallace's 1972 US Presidential campaign rallies that his would-be assassin, Arthur Bremer, had attended. The result? A sequence where Bremer is actually seen at a Wallace event days before attempting to shoot the politician. "It's like a treasure hunt," says Stekler, "The higher powers were with me." While archival footage can be a salvation, Stekler finds that filmmakers are not often well versed in how to use footage libraries or work with archivists. "They ask for everything about a subject, having no idea what is out there, or what they truly want," he maintains. Stekler goes to the obvious sources but then collaborates with experts who know his subject matter. "I almost always go to the library or archive to sell them on the film," he explains. "You build a relationship so they want to help you. Think of it as a collaboration." For his most recent project about New Orleans after Hurricane Katrina, he has even collected footage from YouTube. Burns also records music while he and his team write and collect footage. "Music needs to be on equal footing with the footage and story," he says. While his process makes editing longer, "Our success proves we are right. Word and picture then equals a three—not just one plus one equals two," he adds. And although most of his docs are based on historical events, Burns does not feel they are "safe or nostalgic or sappy. That is not what we do. Rather, all the parts together bring the viewer to a higher emotional level. It's a complex dynamic. Sort of emotional archeology." Burns sees each story from the past as relevant to the present. 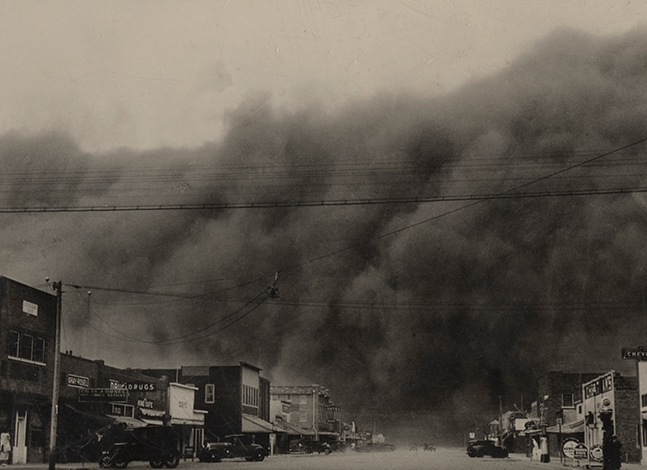 Sequences from the film and causes of the actual Dust Bowl, for example, can easily be related to today's drought conditions in the US. Photographs, like those in the groundbreaking Civil War series, contribute mightily to Burns' work. "A photo is the tabula rasa," he says. "Great photos speak volumes." Old footage might be limiting because of the way it's shot, or because of its length and quality. A still allows you to "talk about anything," and to orchestrate several different moods and uses through camera moves, he says, adding, "Every film has a handful of images that just resonate." In The War, a still is used that shows a woman hanging laundry in a close-up. "It seems like it could be in the US," Burns explains, "but then the camera pulls out and reveals that the woman is hanging up flags filled with swastikas. It becomes so chilling." Blending archival footage and stills with the other elements that go into filmmaking—sound effects, first-person narrative, voiceover, on-camera interviews, music, new cinematography and re-enactments—is the challenge for Burns and other producers. "The trick is to balance them all to tell the story well," he maintains. "You have to be open to ideas. By the time we're editing, the script is on version seven or eight and each draft is massively different." And while viewers might think those interviews you see in Burns films are perfectly orchestrated, the truth is closer to chaos. "We try them everywhere in the edit," he admits. "They are happy accidents when they work." While one of Burns' next projects is an unusual one for him—a cinema vérité look at a private school in Vermont for children with learning disabilities—his slate is full for the next few years with docs that rely on stock footage and stills. "Imagining those older images coming alive—that's what I live for," he maintains. Lauren F. Cardillo, an Emmy Award-winning filmmaker, is presently searching for new ways to use archival footage of Amelia Earhart's flight instructor and sister in a new documentary.